David Bollier and Silke Helfrich: In Part II of Patterns of Commoning, we introduced a broad diversity of remarkable commons. The goal was to explain their origins, context and other salient features, and in so doing make this invisible realm of social experience more visible – and thus more easily spoken about and discussed. Unlike many academic monographs, the essays of Part II do not adopt the pose of “neutral” observers, as if a more precise rendering of the motifs and details of diverse commons would be enough to (somehow) reveal their essence. Nor were we attempting to marshal multiple examples as a way to move toward a single, universal definition of “the commons.” Instead the profiles of Part II represent an invitation to enter into the distinctive lifeworlds that every commons embodies, to put them into relationship with each other and to invite further reflection and study of them. In Part III, we would like to delve more deeply. We believe that the diversity of the commons, which may appear confusing at first, can be seen as embodiments of other ways of being and a deeper set of ontological principles. This is precisely what the authors of Part III try to show us in different contexts. In the opening chapters, Étienne LeRoy realizes, after studying land use and property rights systems in Africa for thirty years, that he was in fact studying the commons; the tensions between formal legality and social functionality and legitimacy are illuminating. Andrea Nightingale then provides a fascinating ethnographic account of how people on the coast of Scotland become and live as fishers through commons. What are the subjective experiences and cultural dimensions of this identity? 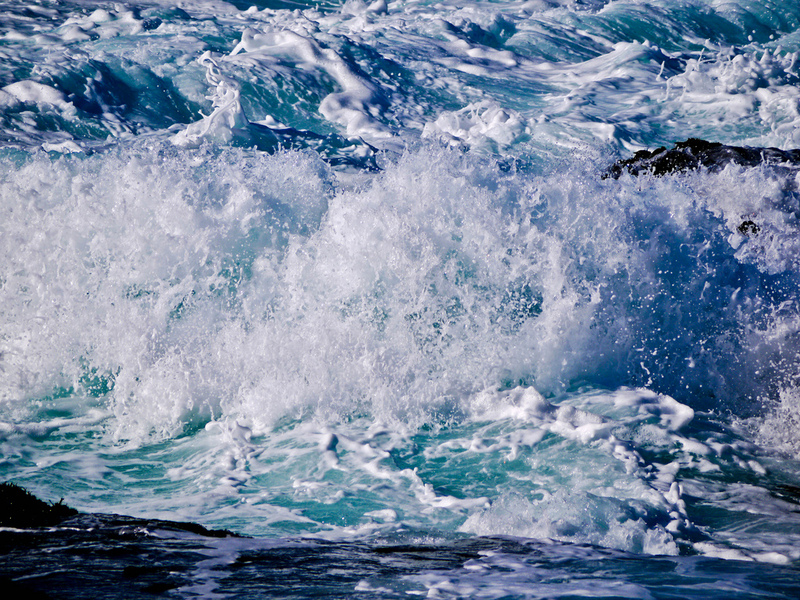 Anne Salmond in her essay describes the relationships between some indigenous Maori communities, their fishery practices, and the ocean – and how their commoning has come into conflict with the politics and law of the New Zealand state. The other authors of Part III also draw on an anthropological perspective. They focus on commoning as a process of subjectification, outlining the factors, conditions, and ways of thinking that affect our actions as commoners – that is, the kinds of people that we are constantly becoming. Bringing into focus this constant process of becoming is important. It helps emphasize our innate propensity to cooperate with each other and to seek stable social arrangements. As human beings, we are embedded in many and diverse relationships, and we depend on them. They forge our subjectivities. If the processes we are involved in are primarily mediated by money and can be easily measured and calculated, then we become traders or transactionists. We experience ourselves as customers or producers and come to build an identity and culture around those practices. We constantly deliver things, or things are delivered to us, and we become suppliers or recipients of services – often switching roles several times a day. Pressed into using market-oriented infrastructures and social habits, we practice the role of homo economicus daily, like actors rehearsing their roles or musicians practicing their parts, often driven by institutional priorities, political considerations, media spectacles, and the artistically contrived illusions of advertising. If the stories of Part II have any lessons, it is that we must practice commoning; after all, it is only commoning itself that makes us commoners. And this “practice” cannot be achieved once and for all; it must be re-enacted time and again, and become a living, pulsating element of social life and culture. In describing the attitudes, customs and actions of the people who manage common resources, solve problems, and defend their collective rights together – as Nigel Gibson does for the shack dwellers in South Africa – the authors of Part III help us more fully understand a point made in Intermezzo I – that (mature) commons point toward some very different ways of knowing, seeing, being and acting. All this requires a certain amount of perseverance because commoning is a process of constantly trying things out and putting them into practice. It requires the opportunity to make mistakes, to scrap ideas, to consult with others, and to start over, time and again. Commoning needs time and support – not least, and especially, from the realm of politics. It requires protected spaces for experimenting, for developing a sense of independence and confidence, and for acknowledging skepticism and resistance. Furthermore, people must have psychic room and time for processing (both intellectually and emotionally) what is happening in a particular circumstance so that something different can emerge from the interpersonal relationships and the specific relationships between human beings and nature (or other resources). People must have space to make sense of their problems and circumstances, and be able to experiment in finding solutions, without the coercive threat of enclosure. This is an important political challenge: to retain open spaces for commoning. Simply having such spaces free from the threat of market enclosure – whether an open Internet, legally recognized forest commons or protection for lifeforms as shared wealth, not patented commodities – is an important political challenge. Some things must be kept as “nobody’s (private) property” – but many people’s responsibility. Eventually, this struggle, if it succeeds in creating a new and stable commons, produces its own treasured world of feelings that are experienced by its creators as entirely natural and self-evident. This perspective on the commons requires that we adopt a different intellectual approach and methodology than one that focuses on inventing or changing laws in existing institutional structures to achieve healthier forests, cleaner bodies of water, more stable fish stocks, and so on. This very idea presumes that experts armed with sufficient authority and resources can generate, through a complex calculus, the results they wish. The struggle for a free, fair and sustainable future must always begin with the question of how we wish to live together, and how this communal life is to be designed so that nobody feels taken advantage of. This implies always asking: Who is affected? Who is responsible? Who can shape things, and for what reasons? Who can say no? Who can support or obstruct things, and why? Such questions inevitably lead to larger questions about the whole economic and social system. Thinking like this and taking this approach moves us away from linear concepts of development. It cultivates a more helpful set of “pluriversal perspectives,” in the words of Arturo Escobar – the theme of his essay. This idea helps reveal that many struggles to defend territories and resources managed as commons are, in fact, ontological debates. Political and policy debates often dismiss the other’s worldview as “irrational” when the actual conflicts are fundamentally directed against the worldviews engendered by commoning. Seen in this light, the commons opens up new opportunities for pursuing genuine freedom to shape one’s own sense of being, identity and purpose in the present moment. Unlike the asocial, individualist fantasies celebrated by market culture, a serious commitment to freedom requires enduring human relationships, a commitment to nature and place, and concrete social actions developed together. Any real emancipation in the future will depend upon the creative energies and innovations that flow from such freedom.